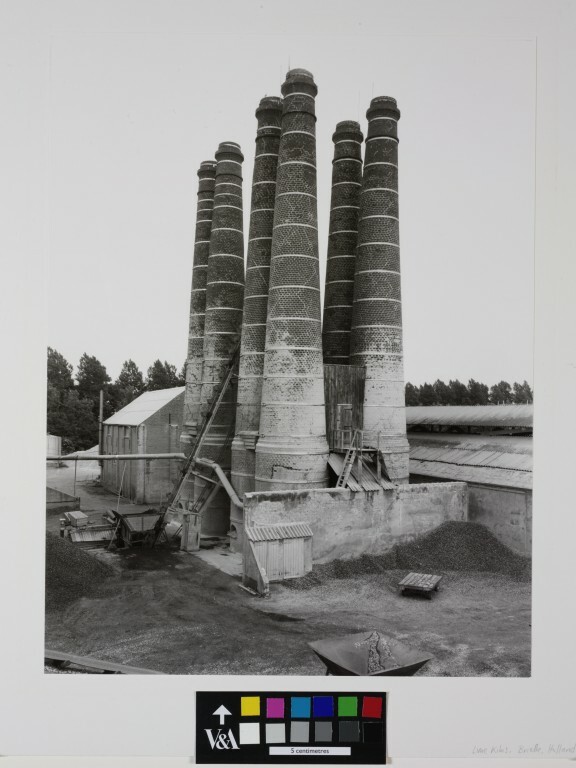 Bernhard and Hilla Becher's photographs appear as factual, precise and apparently passive representations of utilitarian structures. The neutral, even bland, quality of their images - always taken on grey days to avoid harsh shadows - suits the industrial subject matter. They have maintained a consistency of style allowing the systematic comparison of building types in photographs often displayed together in grids. When compared with each another, the outlines of the buildings begin to take on a sculptural quality. Despite being treated equally, each structure has strong individual characteristics, revealed by the Becher's approach. 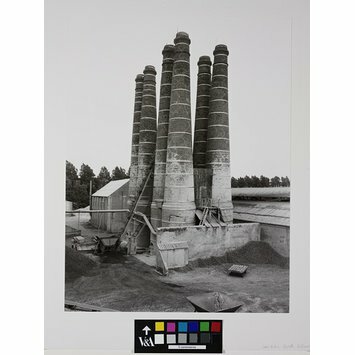 Black and white photograph of a lime kilns.